Screed Sledge for efficient laying of resin mortars and screeds. 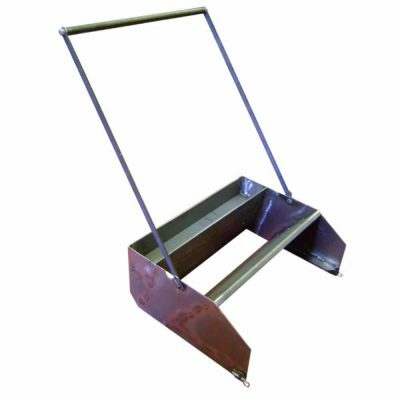 The screed sledge will help you to lay consistent floors with greatly reduced physical effort. The speedy application will only require finishing by either hand trowel or lightweight power float. Available in two widths, 600mm and 760mm and fabricated from steel throughout. The handle can be quickly removed for transportation. The depth of screed applied is set by adjusting the screed bar mounted on to the rear of the sledge. You have complete control over the thickness of the screed applied thereby eliminating wastage and increasing your profits.